Baby boomers are starting to retire at a rapid pace. This leaves employers with the challenge of filling in the gaps that will be left both in terms of staff and also the knowledge and skill set they will take with them. To help address these issues and make the transfer of knowledge easier, it’s important to determine who your organization’s future leaders will be and develop them. These tips will help you get started with your succession planning. 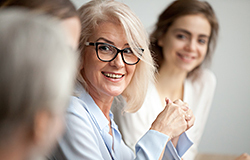 Instead of waiting for your employees who are approaching retirement age to come to you, consider initiating the conversation yourself to stay ahead of your staffing needs. You can incorporate this discussion into their annual review and be sure to follow up with anybody who wasn’t sure of their retirement plans. How big your organization is should be a consideration when looking to determine who the retiring individual’s successor will be. If you have a larger company, promoting from within your existing talent pool may be a great idea. However, if you have a smaller business, it may be advised to look outside the company. Promote from Within – Be sure you learn about each candidate’s goals, ambitions, and plans for the future. This way, you can be sure to select an individual who shares your vision and is motivated to stay and further develop the company. If possible, making use of personality and career assessment tools can help you learn more about each candidate and discover any skills or traits that will help you decide. Look Outside Your Organization – If you are a small company or simply don’t have any staff with the experience needed to fill the role, finding someone within your business to promote can be difficult. In these situations, it might be best to look at external candidates. Try and select individuals who come from a similar corporate culture and industry background so the changeover will be easier. When you have selected a candidate, begin developing them for their new position. Be sure to provide training sessions with the retiring employee to help ensure a smooth transition into the role. Take Inventory of Skills – An excellent place to start is by creating a detailed job description and list of skills for everyone who is retiring. Take into account all of the traits and skills that have helped them become successful in their role and try to think about any additional skills that may be needed in their successor’s future. That way, you have an idea of the training required to bring them up to speed. Invest in Career Development Tools – Providing development opportunities for your candidates is an investment for the company. Be prepared to invest time and money into career development tools such as online courses, certifications, and training to help develop their potential. When you’re looking to hire staff to replace your retiring workforce, using the professional services of reputed employment agencies in Toronto such as Winters Technical Staffing can help. With over 45 years of experience in the industry, we have the knowledge, expertise, and resources to help you find the right candidate. Baby boomers are starting to retire at a rapid pace. This leaves employers with the challenge of filling in the gaps that will be left both in terms of staff and also the knowledge and skill set they will take with them.